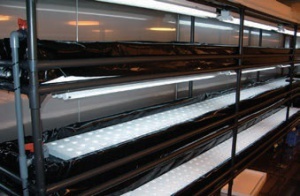 ● It is an optimal illuminated nursery shelf for plant germination, nursery and incubation. ● Three wavelength of fluorescent lamp is included. It is also possible to increase light intensity and waterproof. 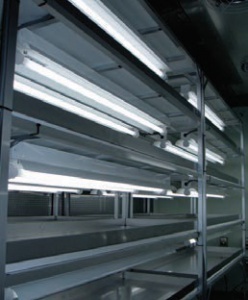 ● In addition to the fluorescent lamp, CCFL and LED are also prepared. ● Depending on the application, it is also available in various sizes. 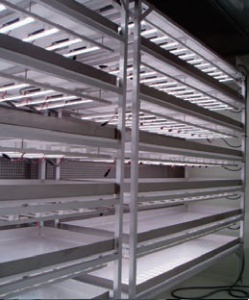 ●It is a multistage type cultivation shelf for effectiveuse of space in plant factory for leafy vegetable. 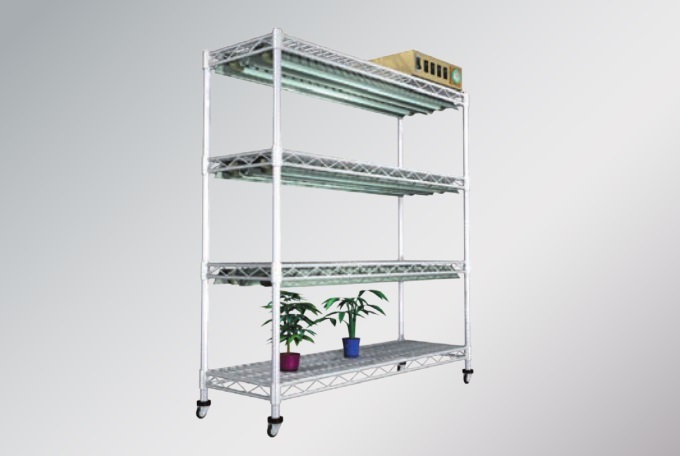 ● It is a flat type shelf for experiment in Phytotron, etc. 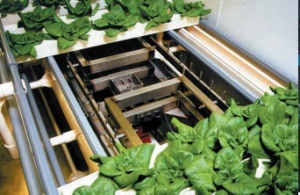 ● It is a moving bench powered by conveying function for maximum use of cultivation space. ● When needed, you can take them out arbitrarily. 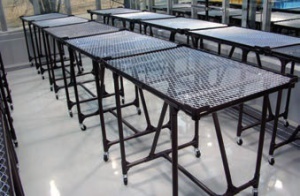 ● It can use space effectively with moving benches from side to side. 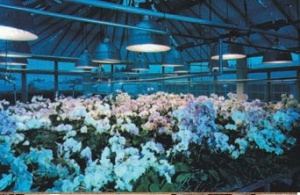 ● It is a column type hydroponics system by flowing the nutrient solution on the column. 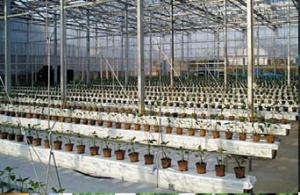 ● It is included that conveying system which increases the space between columns with plant growth. 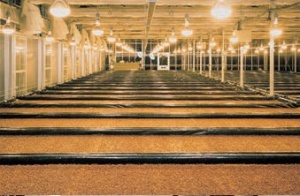 ● It is a cultivation system hangig slab for the nutrient culture used rock wool.